Cannonball Read is the best for getting good books in front of your eyeballs. I read expandingbookshelf’s review of All the Single Ladies: Unmarried Women and the Rise of an Independent Nation this summer and added the book to my to read list on Goodreads. Then I read Lollygagger’s review early this fall and I put in my library hold. I hope some of you will do the same. I am a single lady in my 30s. I have never been married. I am one of many data points that make up a new demographic in American society. For the first time since data has been kept on the subject (and possibly EVER), single women outnumber their married counterparts. A cursory view of my friend group supports this. In fact, my friend group supports most of the points that author Rebecca Traister makes throughout All the Single Ladies. We are educated, often career minded, and for a variety of reasons not with partners, except the quarter of us who are. We come from a variety of ethnic and socioeconomic backgrounds. Some of us want kids, some of us do not, some of us want partners, some of us do not. From Goodreads: Today, only twenty percent of Americans are wed by age twenty-nine, compared to nearly sixty percent in 1960. 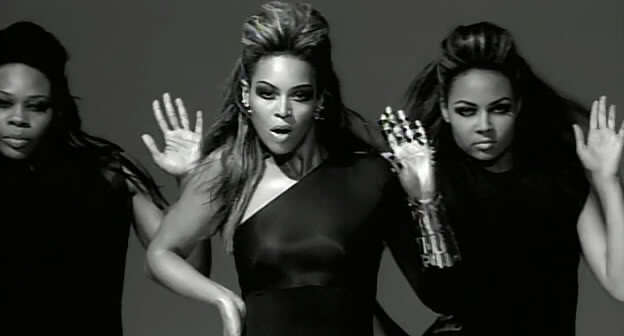 The Population Reference Bureau calls it a “dramatic reversal.” All the Single Ladies is a remarkable portrait of contemporary American life and how we got here, through the lens of the single American woman. Covering class, race, sexual orientation, and filled with vivid anecdotes from fascinating contemporary and historical figures. Rebecca Traister does a really interesting job of speaking to a variety of viewpoints in this book. Through ten chapters that explore different facets of being an unmarried woman in the U.S. My favorite sections were probably where Traister explores the role of single women throughout modern history – but that’s because I’m a history nerd. But the stories of women who didn’t marry, or married late so that they could be activists, leaders, and artists really interested me. Moving into the contemporary era, Traister also interviewed 100 women of various education, ethnic, and socioeconomic backgrounds to provide anecdotal evidence to go along with the studies she references as she examine the reasons for the increasing number of single women, as well as how the trend affects not just women – economically, socially, psychologically – but also men and society as a whole. It’s fascinating, well-researched, and broad. And that may be where the second half of the book suffers, just a bit. But, there is one very important reason that I rounded this book back up to a 4 and not down to a three: Traister gets intersectional feminism and discusses the ways that different stimuli in different groups are creating the same overall effect. Is it perfect? No. Traister covers a variety of different viewpoints, but not always thoroughly. Specifically, those that would consider themselves Conservatives. This book is a good introductory tome, but it is a bit overstuffed and a slow read. I took a break while reading The Count of Monte Cristo, but this was still at times a well-written slog. Share the post "Now Put Your Hands Up"
I love Rebecca Traister’s writing, and I really, really want to read this!